Join an upcoming symposium, exploring the life and legacy of Winnie Mandela through screenings of two documentaries, Winnie (2017) and Winnie Mandela and the Missing Witness (2010), followed by discussions with the directors and further panel discussions. This will take place on Friday 16 November 2018, 9am-4.30pm, at the 43 Gordon Square Cinema. In death, as in life, Winnie Madikizela-Mandela continues to excite strong views. Exemplified in the Independent headline, ‘Winnie Mandela: the turbulent life of the woman who went from “Mother of the Nation” to “mugger”’, most narratives of this global icon either fall into the binary trope of good/bad mother, or trace the fall from grace of a respected and courageous comrade. Excoriated by her critics, most significantly, for her association with the Mandela United Football Club’s violent activities in the 1980s, her life and legacy has gained a renewed saliency in South Africa in which her visions of a radical democracy speak anew to a younger generation of activists disillusioned with the fruits of the ‘Mandela miracle’ and with what they see as the compromises of the ANC leadership. Both the essentially mythical Madikizela-Mandela and the complex and controversial historical figure call for re-examination. This day’s symposium, held to mark the centenary year of Nelson Mandela’s birth, and the year of the death of Winnie Madikizela-Mandela, seeks to play a role in this reappraisal. Beginning with the screening of two recent documentaries of her life, the Sundance Award-winning film Winnie (2017) and Winnie Mandela and the Missing Witness, (BBC Inside Story series. Episode TRC 99, Part 01, 2010), and discussion between the directors Pascale Lamsche and Nicholas Claxton, and film-scholar Dr Jacqueline Maingard, the days’ events conclude with a round-table and Q and A session with columnists, writers and academics. Columnist and publisher Palesa Morudu, historians Drs Elizabeth Williams, Emily Bridger and Professor Colin Bundy, and writer, Fred Bridgland will form this second panel, chaired by the former BBC correspondent, Martin Plaut. 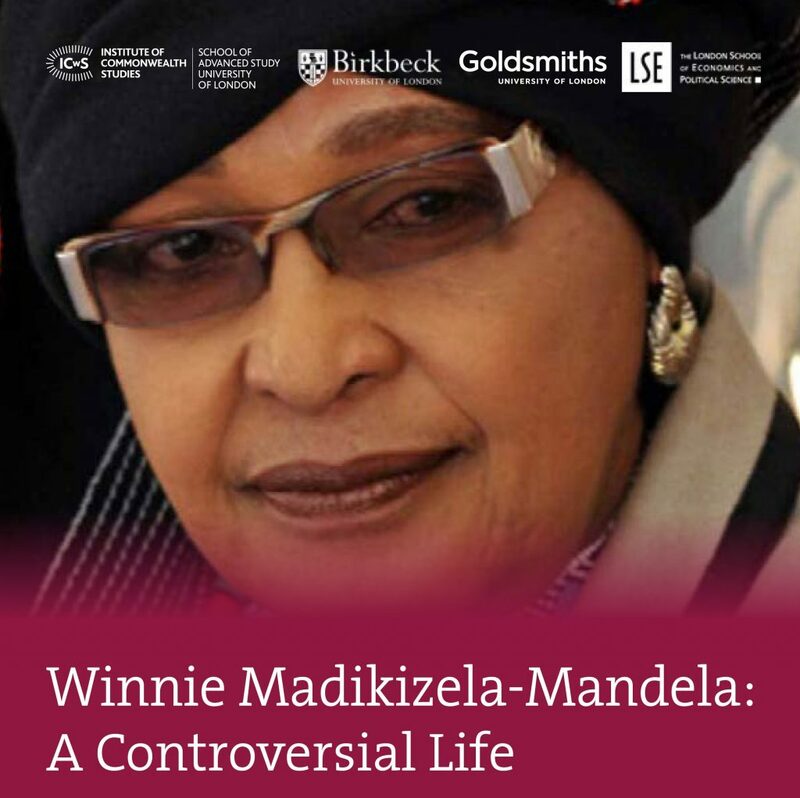 They, together with an audience of academics and the interested public, will reflect on the turbulent and dramatic life of Winnie Madikizela-Mandela looking beyond one-dimensional vilifications and rose-tinted eulogies and immortalisations to consider the historical figure in all her complexity.